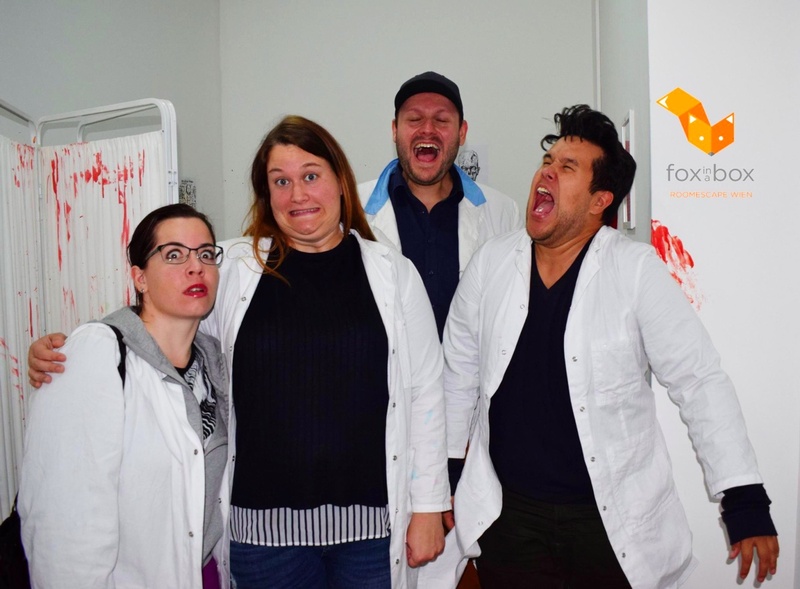 Fox in a Box is one of those Escape Room companies that managed to hook us. After our first try, we went back two more times so we could do all three of their rooms. Since we have completed them all, it is finally time for a review – so here we go. 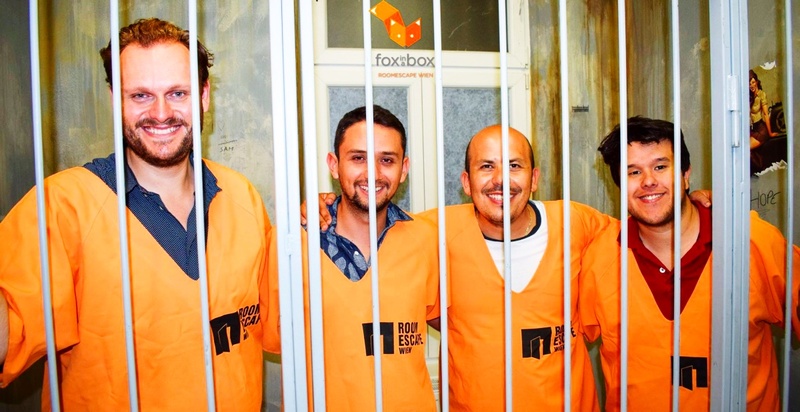 Fox in a Box is located near Mariahilferstraße in Vienna, which is often our starting point when we go to Vienna. We did all three rooms on different times and even with different group members. We managed to finish two of the three rooms successfully and in time. Sadly, we failed to finish the Bunker as a two person team, so I would state that all of their rooms are set up for groups from 3 to 5 people. Although if you are an expert two person team and up for a challenge, go for it and let us know in the comment section that you have actually beat us there. “Ye who enter, abandon all hope.” — Well the situation is not that dramatic but as soon as the door closes behind you the countdown starts. You have exactly one hour time to search through the bunker, use the items and tools you find, solve the puzzles, get the keys and codes to get into the control room and prevent the nuclear catastrophe. This can not be done alone. Trust your skills and those of your agent-mates and maybe than – maybe!? – you reach The Button…. but if the time expires comes the Big Boom! The Bunker is the first room we did of Fox in the Box Vienna and, sadly, we did not finish it in time. The premise is simple and an escape room classic: your job is to disarm a bomb and save the world from total destruction. 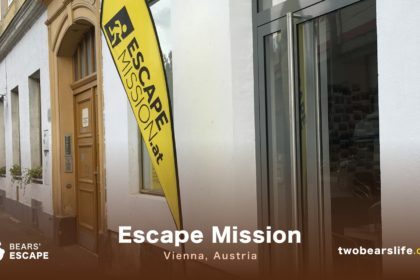 As escape room fanatics, we have done this kind of scenario now more than once, but the execution in this room is really nice, the immersion works and the stress level rises the less time you have left to safe the world. There was a lot of stuff to do in this room and although we lost quite some time on certain math portions, more people would have been better to conquer this room successfully. Nevertheless, we had a really good time. You are in prison. Sentenced to life. Your only chance is to break free… But your guard is just too careful. Suddenly, there is a riot in Block B. Your guard has left his post… This is your chance! Since we love introduce Escape Room Newbies to the greatness of it all, we brought Mexican family to prison. This room worked really well for a group of four and the mix of player knowledge worked well into the game dynamics. You will start the game with the group divided into two separate cells, which is fun and adds an extra challenge since you have to rely even more on your team members who are not in your own cell. 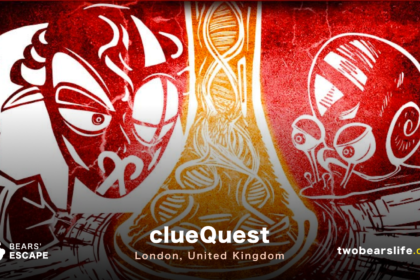 During the game we did need some clues and sadly, the clue system did have a little bug and we missed one clue, which was annoying and it took quite some time before the gamemaster actually responded to our signals to send it again. In the end, we escaped in time – there were literally only a couple of seconds left on the clock. But we did it and all of us had a great time. 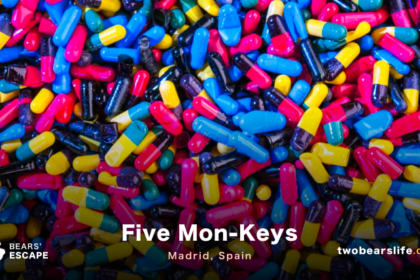 A lethal man-made virus is turning healthy people into bloodthirsty, emotionless zombies. The virus is spread through a single bite. Most of the planet is now infected and humanity is on the brink of extinction. Everything is destroyed and left to rot. Only a few people have survived. Among them a team of brilliant scientists from Russia that try to create a cure. But 24 hours ago all contact was lost with the Russia lab. No one knows what happened for sure, but they fear for the worst. You are a team of scientists who were shipped to Russia to finish the cure. You have only 60 minutes to save yourselves and the whole world before the zombies break down the door of the lab and eat you! The Zombie Lab is the last Escape Room we did and the first one that we actually tackled with most of our established Escape Room Experts Crew. We did this one on Halloween and had a scary surprise waiting for us in the room that made it extra special. The room itself has a nice story setup and some video footage, that actually tells you the progression of the story, while you continue to play and the threat grows stranger, which is a nice element. The sound is fitting and the room setup fits the theme of a hospital or research lab. There are some nice puzzles inside the room which we have never seen before and we had a good group distribution of tasks. On the negative side, one really cool technical puzzle did not work and the gamemaster had to give us the code, which cost us quite some time. Also, one of the elements you have to find is hidden in a place where you actually have to take an item in the room apart, which was strange and we would never have thought of that, since you normally take care not to break game items. Nevertheless – our team did it in time, saved the world from the zombie virus and had a really good time doing it. 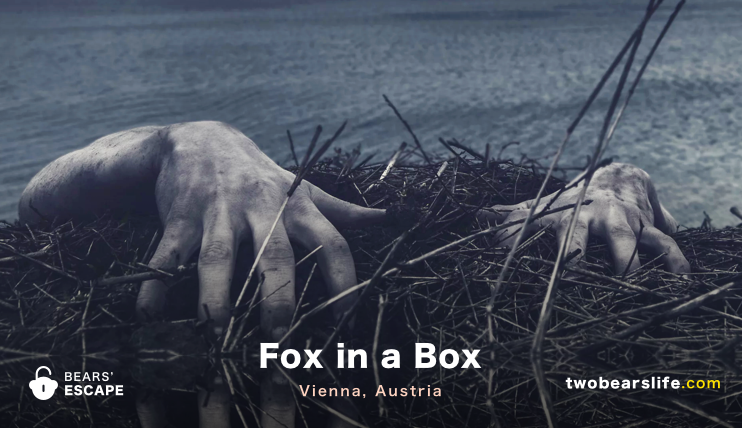 The general production value of the Fox in a Box Vienna rooms are nice and the immersion level is good. You get a nice intro before entering the rooms and you also get some story-fitting outfits during the games. In our opinion a group size of 3 to 5 is best for their rooms. The team was always super nice. They have an interesting clue system, where you are allowed to ask for one clue every 10 minutes and this clue is delivered on a sheet of paper. In rare moments – like when we simply did not figure out the tiny flaw in our math in the Bunker, or when the machine in the Lab did not work, the gamemaster speaks to you through speakers in the room. There are locks in the room, but they are kept to a minimum and the puzzle variations are good and don’t repeat in their own rooms. 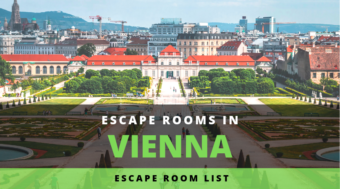 The location is pretty good since it is near one of the biggest and easiest to reach shopping streets in Vienna. Fox in a Box Vienna has a nice waiting area and clean bathrooms, as well as well maintained and clean rooms. The staff was always very nice and had no problem speaking in english. They did not seem understaffed or stressed and showed a general appreciation for escape rooms themselves. The production and immersion level was good and the rooms and puzzles worked well together. All in all, we enjoyed all of their rooms a lot – the only criticism we have is that the themes themselves are very common and we hope they will get a little bit more creative with a new room.